Get off the couch and play! 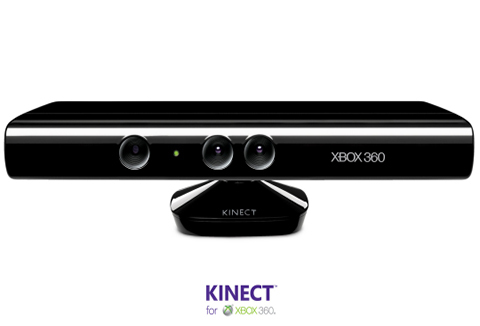 Ok, so I recently got a Kinect for my Xbox 360 and yes I know I’m a little late to the party. To be honest I thought this would be a great idea to get so that I could play more games with my wife who is not a real big gamer. Sure she likes her Keflings but she’s not picking up Call of Duty anytime soon. Well I was right about the Kinect, we’ve both been playing together a bunch since we got the system. Kinect Adventures is the name of the game that comes with every new Kinect. It’s a basic adventure game that gets you into the basics of using your Kinect as well as setting you up to the range limits it’s able to perform in. Now I know I said Adventures was a basic game, but what it sets out to do it does really well. I’ve been hooked on this game since we started it. My wife and I have both been playing together as well as trying to one up each other in single player. And that’s what’s great about a game like this using Kinect. It levels the playing field. While I may have over 20 years of gaming experience, my wife was an exceptional athlete in her younger days and a game like Adventures takes that into account by letting the individuals physical ability take over. It still uses hand eye coordination, but instead of using your thumbs to work a controller you’re using your body to do all the actions, and in Adventures it’s as simple as jumping, ducking, moving side to side and waving about your arms. In Adventures there are 5 game types and all are really easy to get into, which makes for another great thing. This game is perfect for families with children. Not only can the kids get involved but they can do it in a fun setting that gets them plenty of exercise. The difficulty does ramp up as you move into the advanced section, but anyone of moderate fitness levels should have no problem at the least in completing them and earning achievements and avatar awards. The other game we have been playing is Dance Central. I have to admit when I first heard about this game I thought it was going to be really lame. But after hearing about friends play and how competitive they were being I had to get involved. Plus I knew my wife would like this one. It turns out we both do. I may have no rhythm but with the friendly voiceover helping you along and the cue cards and dancers doing the moves in front of you, I really have no problem dancing, on Easy. On easy the game is no problem, but when you start ramping up the difficulty is when it gets exciting, and really funny. If you miss a move there is nothing quite as funny as watching someone try to flail about and get back in sequence. Add in the “freestyle” section and it only gets better. My only complaint with the game is that you don’t get to practice the finishing move for the songs so you’re kind of just stuck guessing at it. Other than that Dance Central is a great game and with the announcement of Dance Central 2 coming soon, it only gets better. Add in a Kinect Adventures and you have a great excuse to get off the couch and get some exercise with your game groove.